PoolDawg is proud to carry an extensive selection of Fury cues. This diverse line of cues has something for all pool players, from beginners who are purchasing their first stick to experienced shooters looking to enhance their game. 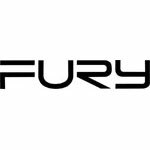 We are carrying one of the widest selections of Fury cues available online, including their popular DL and NA series sticks as well as breakand break/jump cues. With Fury cues, you get high quality cue sticks at affordable prices. Every Fury cue features a limited Lifetime Warranty. PoolDawg is an Authorized Dealer for Fury cues.